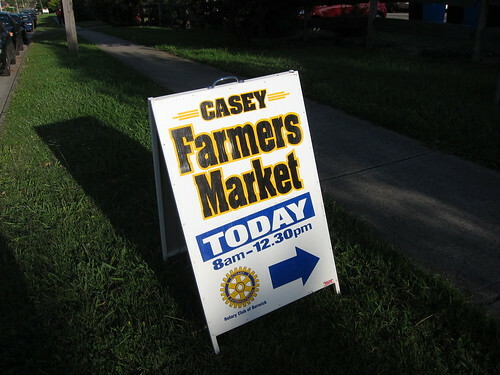 On every fourth Saturday of the month, the Casey Farmers’ Association (Berwick Rotary Club) hold their monthly Farmers’ Market for Casey residents and well anybody that wants to support local farmers’, grocers and the local community in general. 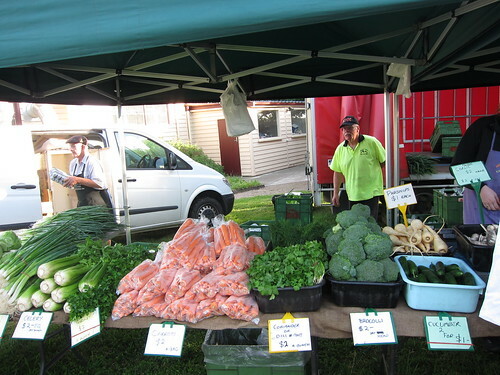 It’s also a place to get fresh food and produce or just to try the different foods on offer. 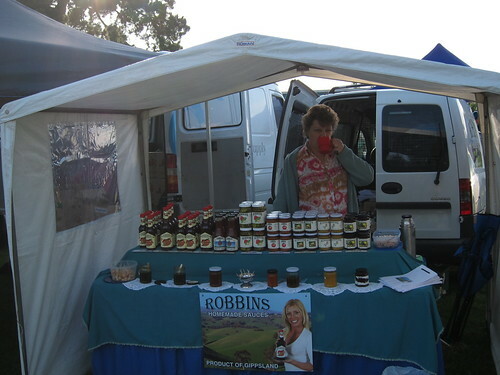 It’s located in Berwick at the Old Cheese Factory, and with many merchants and things to try while you’re there and even though we arrived at around 9am, it was surprisingly busy already. It costs a few dollars to enter but supporting the Farmers’ in your area, it’s nothing to complain about. 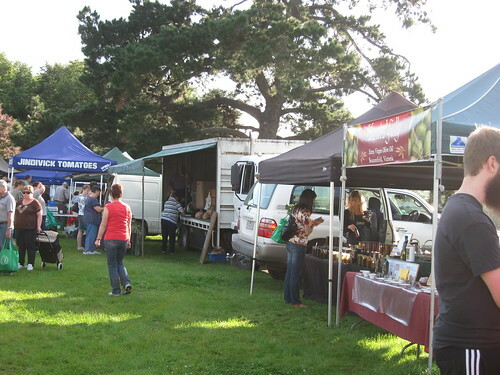 At the front, near the car park, they sell large quantities of fruit and once you enter there are a variety of berries on offer too. 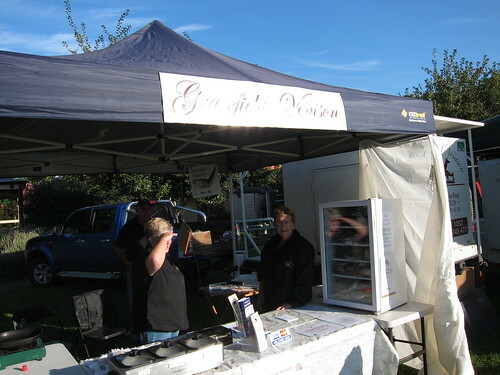 On the left of this image, they sell a variety of breads from sour bread to wholemeal. It’s all reasonably priced too. The merchants on the left sell fresh seafood, while the one on the right sells a great selection of wines. Homemade sauces are sold here, quick a few might I add. 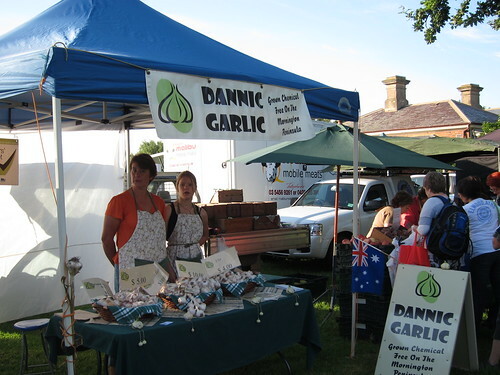 Fresh garlic from Dannic Garlic. 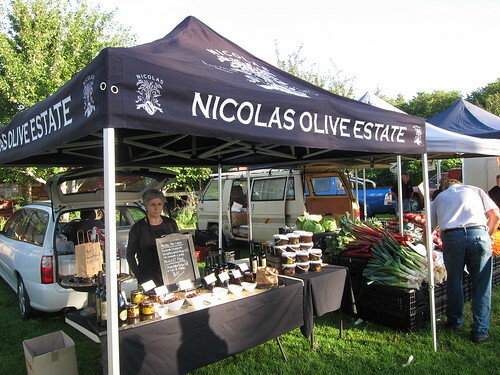 Chemical free, and grown on the Mornington Peninsula. 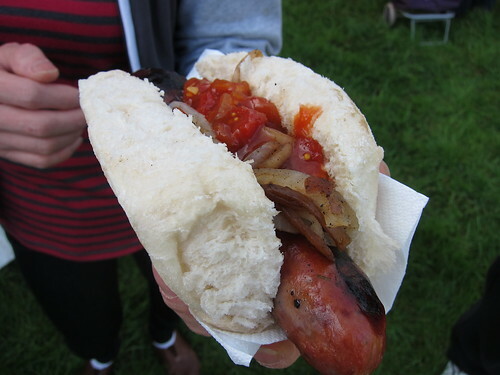 Our second purchase of the morning, the first being some nice sourdough bread, was Spicy Venison sausages. We cooked them at home, it’s quite lean and with a hint of spice. It wasn’t too bad actually, might try their other Venison cuts next time. 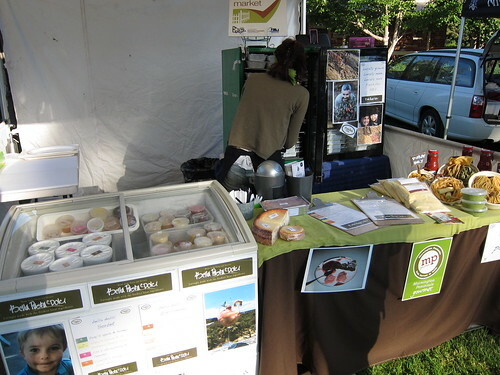 Mornington Peninsula Ice cream, it looked really nice but wasn’t in the mood for it. Looking back, I would have gotten a tub. 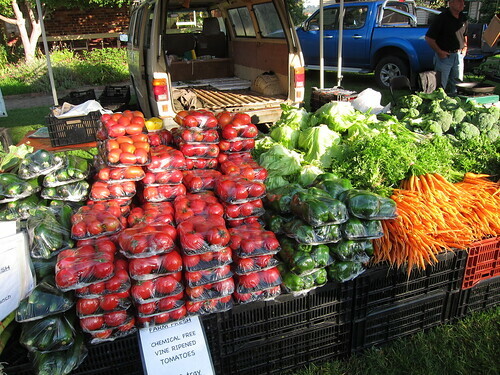 More fresh food, if you look closely you can see the prices. It’s probably more than you’d pay at your local supermarket but I feel the money goes straight to the farmers and not split between farmers and the conglomerate. The smell of sausages in the morning is quite an appealing thing. 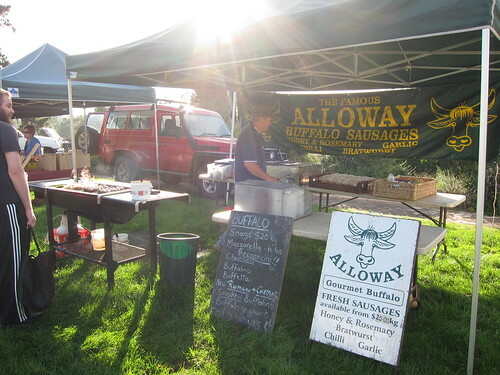 So by the smell we were lead to the Alloway Buffalo stall and just had to purchase a roll. Here it is, in all it’s glory. Buffalo meat. A buffalo hot dog with a really tasty sauce. It had a hint of spice and was just nicely cooked, as was the sausage. 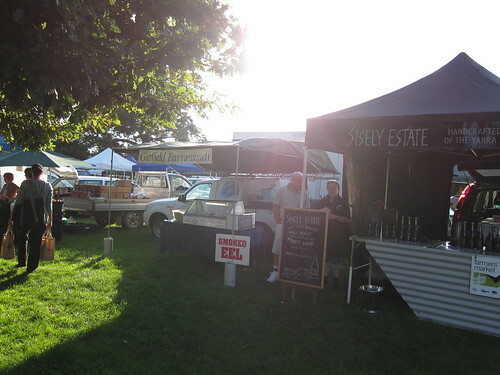 There were also quite a few meat sellers, and places to buy fresh juices and drinks too. Check it out, it’s quite a nice experience. 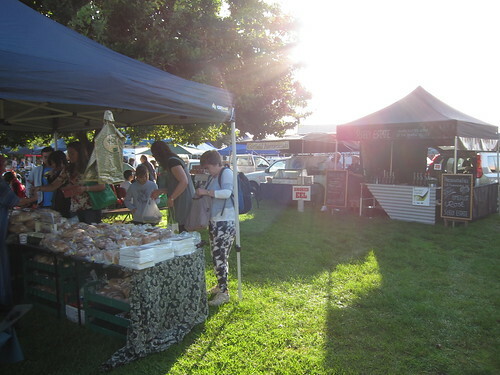 Or check out your local Farmers’ market instead, it’s worth it.